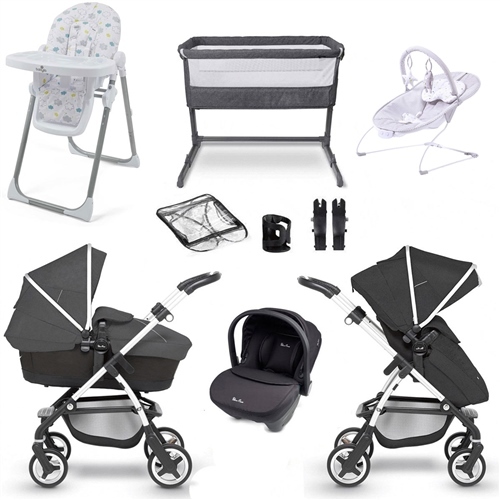 We've made it easy to get your new arrival out into the world with this award winning silver Cross 3in1 travel system and Nursery bundle starter pack. One package takes the hassle out of looking for a bedside crib, feeding high and low-chair, pushchair, carrycot / car seat and accessories separately. 1 x Q highchair & junior chair. Add the Simplicity car seat and it becomes a complete travel system. Flexible, functional and fun, the Wayfarer is the perfect mix of practicality and style.